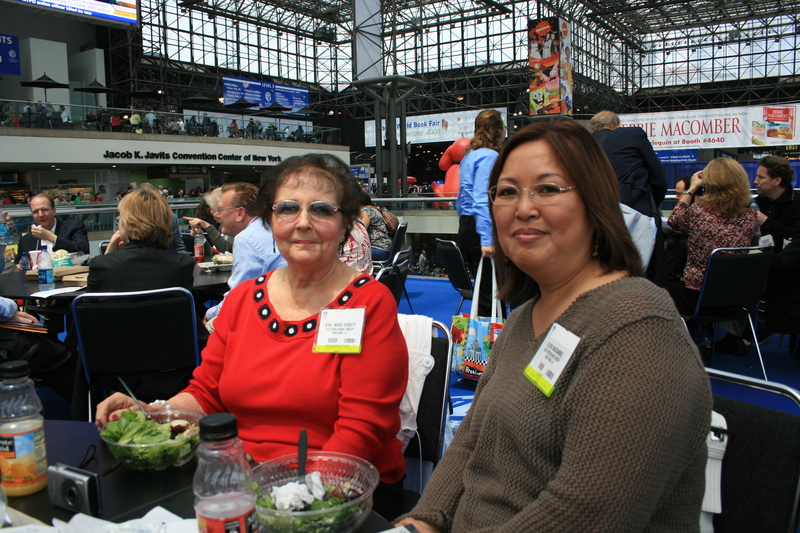 Michael and Jean-Marie attended BookExpo America in New York City from May 28 – 31 at the Jacob K. Javits Center in Manhattan. 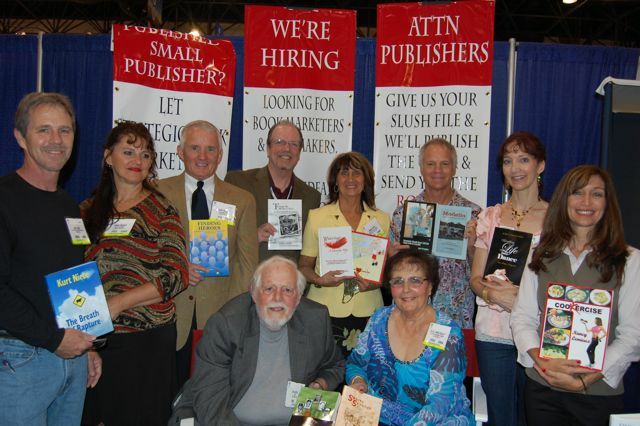 BookExpo America is the largest publishing event in North America. 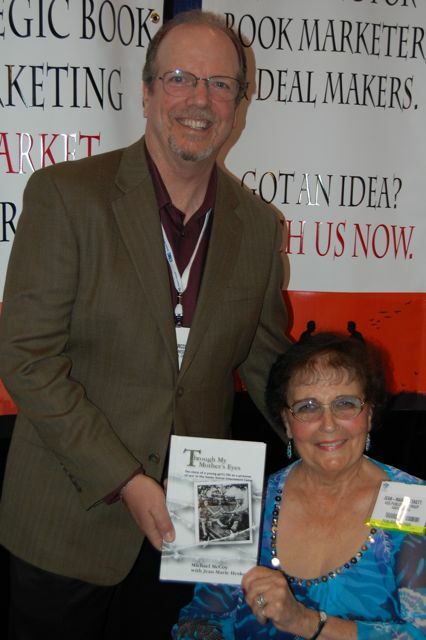 Michael and Jean-Marie had a live broadcast from New York on Friday May 29 on KSRO 1350 AM on “The Drive” with host Steve Jaxon. Publicity photo of Michael and Jean-Marie in the AEG Publishing Group booth at Book Expo America. The media day was Saturday May 30th. 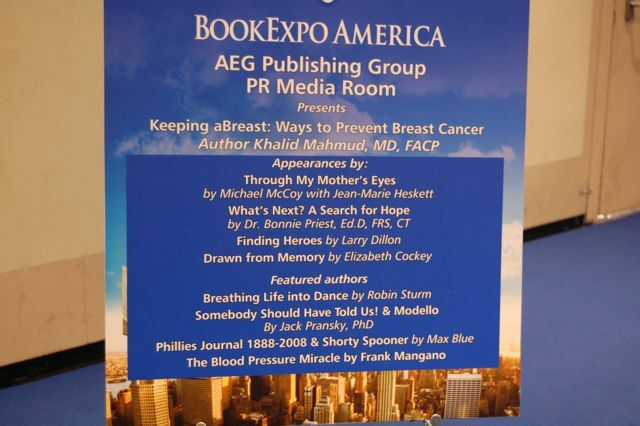 Notice “Through My Mother’s Eyes” with Jean-Marie and Michael on the press conference display board. Michael and Jean-Marie, along with other authors, in a publicity photo by the AEG Publishing Group at Book Expo America. 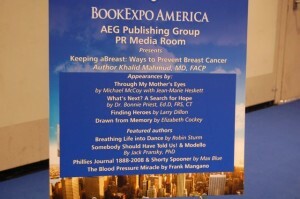 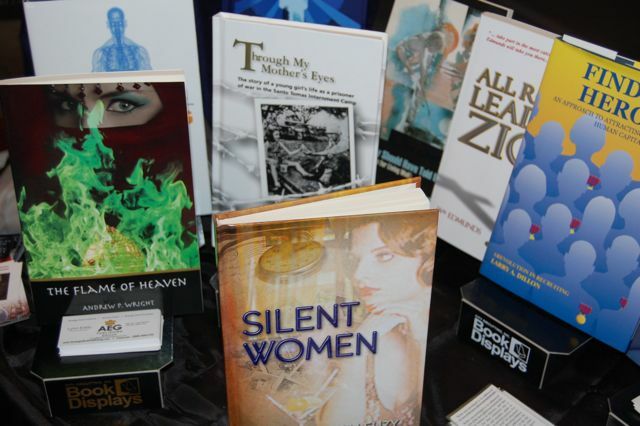 “Through My Mother’s Eyes” on display at the AEG Publishing Group booth at Book Expo America. Jean-Marie and our good friend from the Philippines, Elvira Magsambol, take a break in the action.